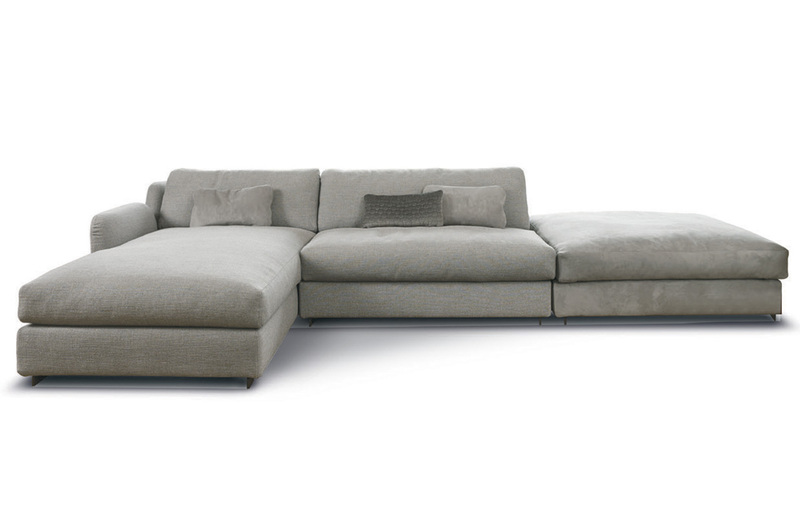 Sectional sofa available to order in two back heights and numerous configurations. Individual elements, including some which are angled, can be combined to achieve the desired size and layout. Please contact Usona for assistance with creating custom configurations. Back height 30.3" or 34.25"